The Immovable Property Commission was set up under the Immovable Property Law (No. 67/2005) in accordance with the rulings of the European Court of Human Rights in the case of Xenides-Arestis v. Turkey. The purpose of this measure was to establish an effective domestic remedy for claims relating to abandoned properties in Northern Cyprus. The European Court of Human Rights, with decision on 1 March 2010 as to the admissibility of Demopoulos and Others v. Turkey found that Law No. 67/2005 provides an effective remedy and rejected the complaints of applicants for non-exhaustion of domestic remedies. 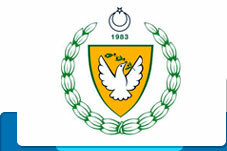 The Immovable Property Commission officially began its activities on 17 March 2006, upon the appointment of its President, Vice-President and members by the Supreme Council of Judicature among persons nominated by the President of the Turkish Republic of Northern Cyprus and re-esatblished in accordance with the Law No. 67/2005. The Commission consists of Mr. Ayfer Erkmen, President, Mr. Romans Mapolar, Vice-President, Mrs. Sümer Erkmen, Mr. Hans C. Kruger, Mr. Güngör Günkan, Mr. Daniel Tarschys and Mrs. Saskia Yorucu members. The Immovable Property Commission examines claims for restitution, compensation and exchange according to the provisions of the law no 67/2005. Its considerations are based on the principles of bi-zonality and bi-communality which have been common elements of the 1977-1979 High Level Agreements as well as plans for a settlement of the Cyprus Issue prepared by the United Nations. It seeks to satisfy the legitimate claims of property owners without prejudice to the rights of the Turkish Cypriot Community. As of 24 April 2019, 6,538 applications have been lodged with the Commission and 964 of them have been concluded through friendly settlements and 33 through formal hearing. The Commission has paid GBP 302,145,102.- to the applicants as compensation. Moreover, it has ruled for exchange and compensation in two cases, for restitution in three cases and for restitution and compensation in seven cases. In one case it has delivered a decision for restitution after the settlement of Cyprus Issue, and in one case it has ruled for partial restitution. The Immovable Property Commission seeks to be a just, fast an effective remedy for property claims. In this way, the Commission purports to contribute to the comprehensive settlement of the Cyprus Issue.